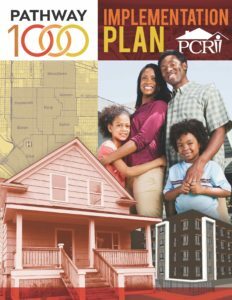 PCRI invites the press and the community to celebrate the completion of the Pathway 1000 Implementation Plan, a bold and ambitious 10-year displacement mitigation initiative. On Tuesday, April 18, 2018, 9:30 a.m., PCRI will host a launch celebration and media event at its offices at 6329 NE Martin Luther King Jr. Blvd. More information about Pathway 1000 is available on PCRI’s website and the Pathway 1000 website. For media inquiries, contact Fawn Aberson at Flossin Media.